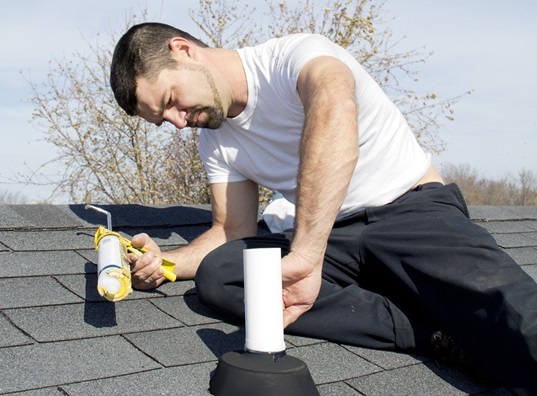 As you go through your home improvement routine this fall, be sure to check your roof system. Since it’s one of your home’s key barriers against the elements, it needs as much attention as your door and window units. Remove all debris that can obstruct roof drains and scuppers. You can also trim tree limbs that might fall on to your roof and cause damage. If you need to, you can redistribute the ballast in your roof’s bare spots. Check your flashing for bends and punctures. If your roof already exhibits these, the smart choice is to contact your reliable roofing contractor, Kroll Construction. Our highly trained professionals have the experience and the equipment to handle damaged roofing systems. We can also spot the subtler damage you didn’t notice in your own roof inspection. Maintenance can extend your roof’s service life. When there’s already extensive damage to your system, however, it may be time for a replacement. For quality installation services, Kroll Construction, your premier roofing contractors in Detroit, is your best bet. We are committed to professional craftsmanship and customer satisfaction. For 50 years, homeowners in Detroit have trusted us to handle their roofing needs, as we offer durable, reliable protection against harsh weather conditions. At Kroll Construction, we only use the highest quality materials. For this reason, we are certified contractors for a variety of outstanding roofing manufacturers, including Owens Corning, Alside, and GutterCap. Keep your home comfortable and ready for fall with our replacement roofs. Call us at (888) 338-6340 for a free estimate.